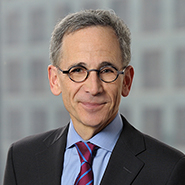 Partner Craig A. Newman will present a webcast for the Practising Law Institute entitled, "New York’s Cybersecurity Regulation: A Global Blueprint?". Mr. Newman and co-panelists Eric M. Friedberg and Avram Kornberg will explore the New York Department of Financial Services “first-in-the-nation” cybersecurity regulation – which will affect more than 3,000 financial institutions that fall under the agency’s supervision. The controversial regulation goes into effect on March 1, 2017. The regulation has been revised in view of stiff opposition from the banking and insurance industries. The panel will discuss the proposed regulation from a legal, governance and technology perspective.